You’ve invested heavily into content marketing. You’ve spent countless hours developing buyer personas and zeroing in on your target audience. Now it comes time to present your efforts to your client, or share the latest campaign developments with the higher-ups. How can you prove success? How can you demonstrate value in a tangible way? 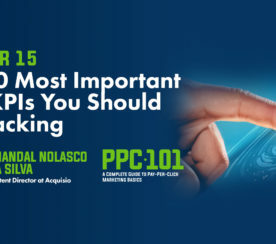 Key performance indicators (KPIs) hold the answer. 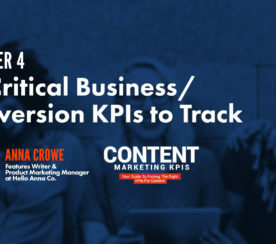 KPIs are objective metrics that help to measure and give clarity into the success of a given organization or campaign. 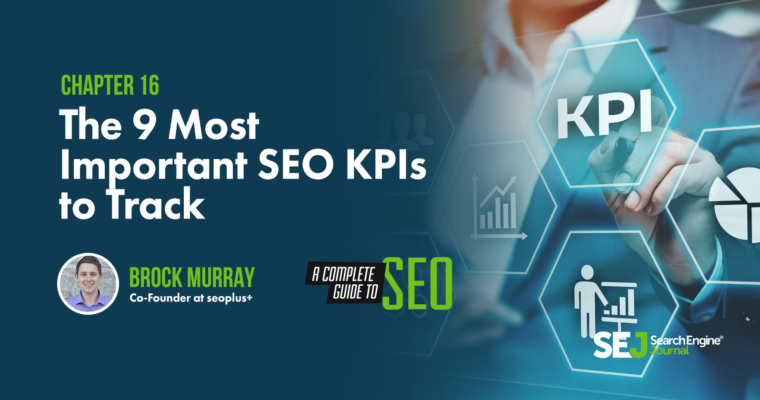 What are the most important KPIs when it comes to measuring the success of your SEO and digital marketing efforts? 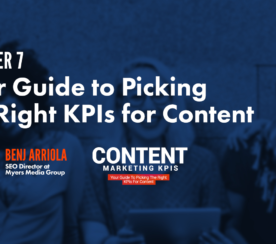 Here are nine critical KPIs you should be tracking. Organic sessions measure earned visits to your website from search engines such as Google and Bing. A session is defined by a visit to the website, the actions taken by the user during that visit, and then the exit of the user from the site. If a user idles, their session will time out after 30 minutes of inactivity by default. A single user can be responsible for multiple sessions. Organic traffic can be measured directly in Google Analytics, or you can integrate the data with a reporting tool such as Agency Analytics to better cross-reference with other data points. Growth in organic traffic is the single most important key performance indicator because it most clearly aligns with the objective at the heart of SEO: getting more eyes on your website. A growth in organic sessions has a few potential causes that can be pinpointed by digging into your analytic data and keyword positions. For one, it could mean more branded searches. As your digital and traditional marketing efforts pay off with increase brand awareness, you’ll see more searches for your brand name or products as a result. As your on-page and off-page optimizations start to pay dividends, your website will improve rankings for keywords, both ones you are targeting and ones you have put no effort into achieving. Expected click-through-rate (CTR) increases with every single position on the search engine results page. Jumping from 3rd 2nd on page 1 can result in a spike in organic sessions, not to mention if you’re able to jump from page 2 to page 1 of the results for a high volume keyword. You can help spur more organic sessions by crafting a compelling, relevant page title and writing a meta description with a clear, enticing call-to-action. Growing organic sessions indicates that you are occupying more value real estate on the leading search engines, exactly what you’d hope to achieve with a full-scale SEO campaign. Digital and traditional, on-page, and off-page marketing efforts alike will help you continue to grow the number of organic sessions. Keyword rankings are where your specific keywords are positioned in major search engines like Google or Bing. The closer to number one, the better. The higher your website ranks for high volume keywords (terms that are frequently searched), the better. You can track keyword rankings in a tool such as SEMRush or SE Ranking. There are some keywords you will naturally rank highly for, like your brand name or highly targeted long-tail keywords specific to your service and location. Others will be part of a long-term strategy in an effort to gain visibility for competitive terms with high commercial intent. Keyword ranking is an essential KPI because it’s what clients directly correlate with SEO success. Keyword ranking improvements are the first entry point to achieve other primary objectives: more traffic, leads, and sales. You should keep a close eye on keyword rankings. Fluctuations are normal and Google algorithm updates can cause significant volatility, but in the long view you should see growth. Keep an eye at least weekly if not daily, as a drop in rankings could signal an issue with your site that must be addressed. But don’t panic if you see minor drops. Over-optimization is just as bad as under-optimization. Your on-page and off-page optimization efforts will result in keyword rankings improvements. Everything from high-quality content additions to speed optimizations to link building to developing an engaged social following, among other ranking factors, will help improve rankings. The first two ranking factors relate to attracting visitors to your site from search engines – but what action do you need users to take once they’ve landed on your site? You’ll want to generate a lead that will hopefully convert into a sale. Contact form submission asking for more information. 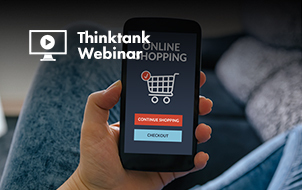 Do you have a higher conversion rate on mobile vs. desktop? What page drives the most leads? You can also set up goal funnels to see where people drop off in the process and make improvements to your site and iterate from there. An increase in leads not only means you’re drawing more visitors to the site, but those visitors are completing the desired action in higher and higher numbers. This is an essential KPI because it relates so closely to the core business objective of growing the customer base and increasing sales. To improve results for this KPI, put focus on conversion rate optimization (CRO) and user experience (UX). Are calls-to-action (CTAs) prominent and clear? Is the content trustworthy and persuasive? Can the user move through the conversion funnel in easy and expected ways? Bounce rate is a metric that measures the percent of sessions where the user loads the page and immediately exits without performing any action. Bounce rate is calculated by dividing the number of non-interactive sessions by the total number of sessions. A typical bounce rate is between 40 to 60 percent, meaning about half of all sessions are expected to end with no action taken. But this will vary greatly depending on your industry/niche. Bounce rate is an important KPI because a huge priority for search engine algorithms is satisfying the user’s search query. When a user searches a keyword, Google wants to show them the most relevant and highest quality results possible that resolve the issue. When users bounce back to the search results page it can indicate that the ranking page is not relevant, frustrating to navigate, or may not be trustworthy. On the opposite end of the spectrum, a low bounce rate indicates that your site is relevant, easy/rewarding to navigate, and satisfies a minimum E-A-T threshold. Routinely audit pages on your site with high bounce rate and A/B test different approaches to see if you can get that number to improve. Pages per session is a simple metric that measures, on average, how many pages users visit during a session. It also counts repeated views of a single page. What is a strong pages/session metric? It will depend on the depth of your site architecture and the complexity of your conversion funnel. If you have a one-page website, 1 page per session is perfect (you’ll want to look at time on site, in that case). 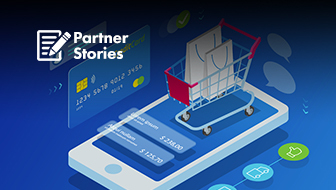 If you have a content-heavy site focused on informing the user, or an ecommerce site where users typically view multiple products and go through a multi-step checkout process, you’ll expect to see many more pages per session on average. As with other metrics that track user behavior, pages per session is an important KPI because it indicates the value/quality of your site and how users navigate through it. Still, having a user visit 100 pages is not truly valuable unless you’re priming them for a conversion now or later. Make sure you have prominent and clear CTAs through, even on deep inner pages, to direct users deeper into your conversion funnel. Session duration measures the average length of a visit to your website. The more in-depth your content and site structure, the longer you can expect this duration to be. Session duration is an important KPI because it indicates the quality of your site content and how incentivized users are to stay, read, and click deeper into the site architecture. If you see a drop in session duration, has something changed to frustrate your users? Continue to focus on prominent and clear CTAs to convert this captive audience into a lead or customer. We haven’t touched on it yet, but page load time is an underlying contributor to most of the metrics discussed so far. Think about how you behave as a user. If a site is taking a long time to load, you’re more likely to bounce back to the search results page. If a site is very slow to load, you’re less likely to explore pages deeper on the site. You’re also probably less likely to convert because your first interaction with this company has been frustrating. Ideal page load time will vary based on the complexity of the content and the patience of your user, but the majority of users will abandon a page if it takes more than 3 seconds to load. With every additional second of loading, expect bounce rate to increase as a result. In fact, a page that takes 5 seconds to load increases the probability of a bounce by 90 percent compared with a page that loads in one second. Use a tool such as GTMetrix for insights into how well your site loads, and get recommendations about optimizations you can make to the server, code, content, or images to improve load time. Every time you take a website action, whether it’s redesigning a page layout or uploading a new picture, keep the effect on speed in mind. It’s much easier to optimize images, content, and code as you go, versus trying to correct a decade of bloated code, massive images, and redirect chains. An exit page is the last page visited by a user before ending the session, closing the tab or browser, or searching for a new website. Though people are leaving your website, an exit page is not inherently negative – a user can exit from the thank you page or purchase confirmation page, having a fully satisfied experience. However if a high percentage of users are exiting from a page where you do not intend their journey to end, it could be an opportunity for CRO/UX improvements. You can find these details in Google Analytics’ by navigating to Behavior Reports > Site Content > Exit Pages. You’ll want to assess not only the raw number of exits, but also the exit rate. This is a percentage calculated by dividing the number of exits by the number of pageviews for a given page. If you have a high exit rate for a page that is not intended to be an exit page, optimizations are needed. Googlebot and other crawlers need to be able to fully see and access site content to assess its value and relevance. If your site has crawl errors, it means that Googlebot is having trouble accessing your site or reading its content. Crawl errors can be found in Google Search Console. You can test the crawlability of a page at any time using the “Fetch as Google” tool in Search Console and selecting the “fetch and render” option. Crawl errors can be at the server error, if Googlebot cannot communicate with the DNS server, the request times-out, or your site is down. Crawl errors can also be at the URL level, if a given page no longer exists or has a long redirect chain. If you see a spike in crawl errors, you’ll want to take immediate action especially if the crawl errors are at server level or the URL errors affect core pages. 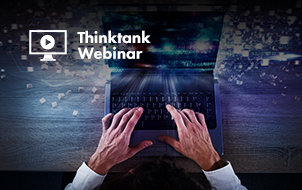 Leverage the power of Google Analytics and rank tracking, heat map, site speed analyzers, and other analytic tools to amplify strengths and correct weaknesses on your website. 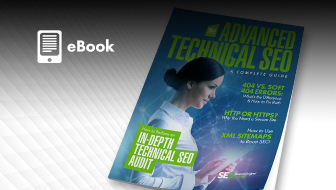 Download SEJ's Complete Guide to SEO Ebook Now!